Even if it is not brick built, they can be very handy when you spend a lot of time round the pool in the summer. A great place to put a pool fridge for cold drinks and beers, snacks for the children, ice pops etc. 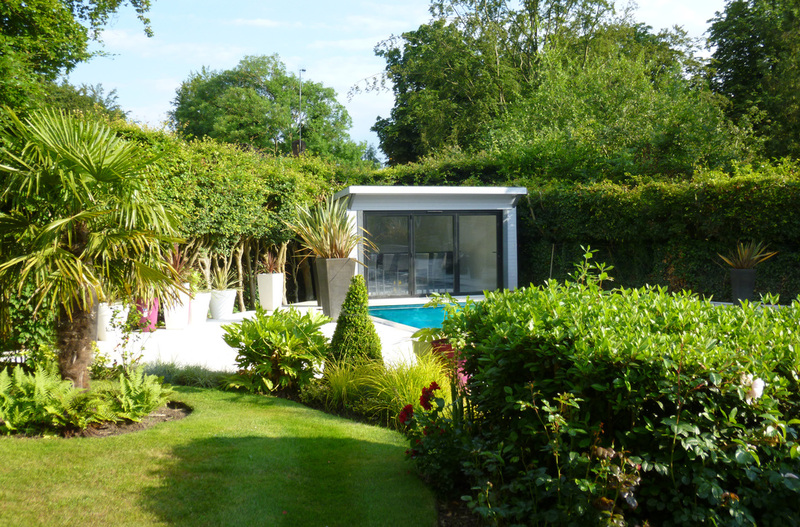 Every home swimming pool should have a bespoke Pool House even if it is custom made to fit a corner in the garden like this one was. 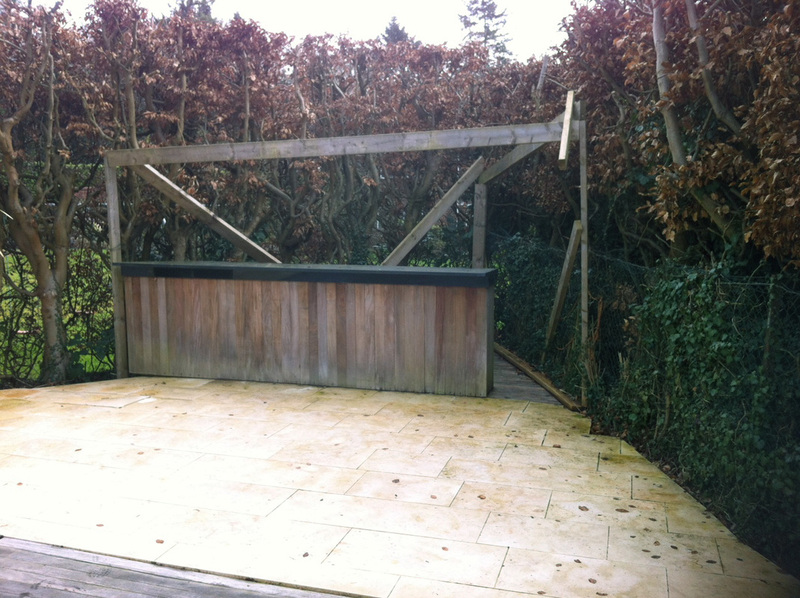 We were contacted by the customer to finish a job that never really got off the ground. The shape which it would have had to be built for it to fit in the corner was complicated but a challenge for the Custom Built Surrey team. 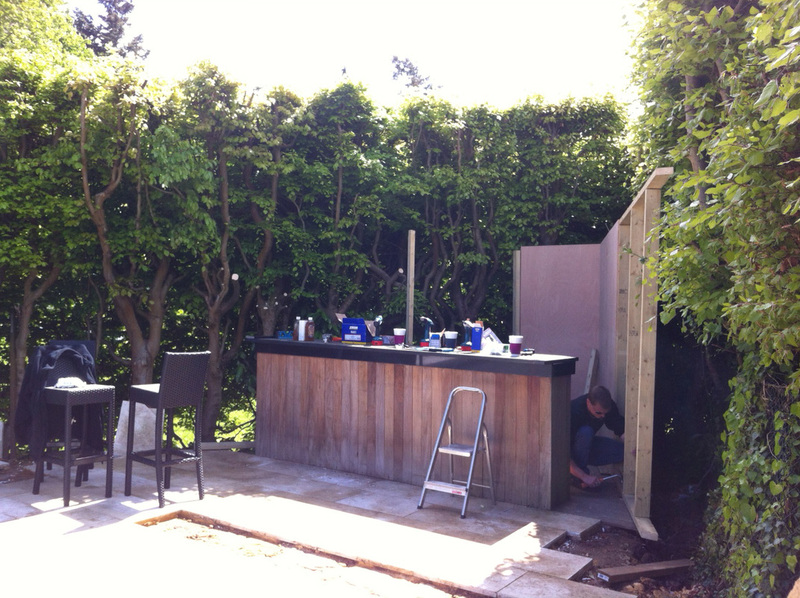 As you can see from the images below, the bar with granite worktop was already in place so simply built round it. 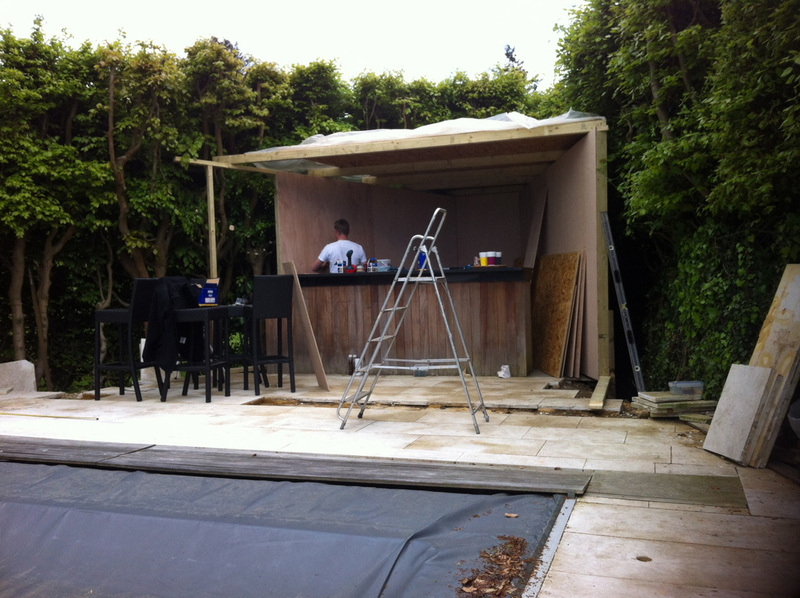 The end result of the pool house / pool bar looks fantastic don't you think? 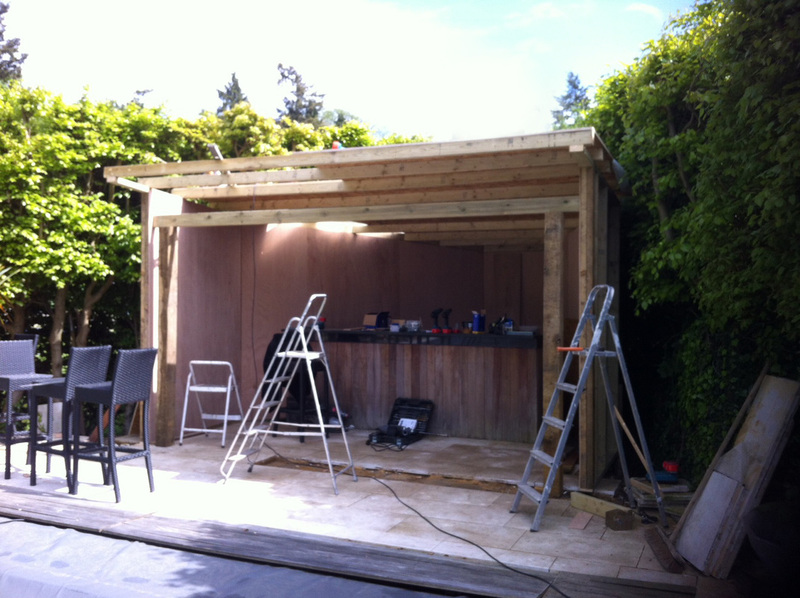 Custom made Pool house / pool bar also used as a pool changing room built in Surrey. 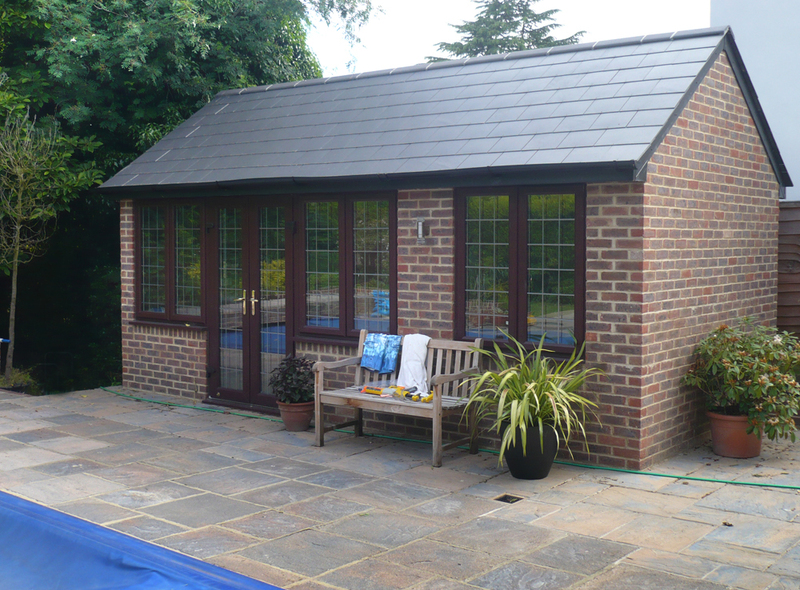 Custom built brick or timber pool house / changing room / shower room Surrey, Berkshire. 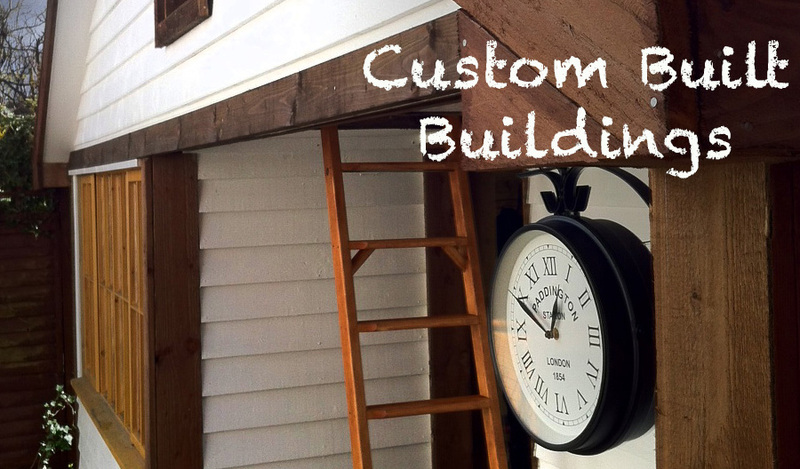 Yes, we can even build custom built pool houses out of bricks or blocks. With fully double glazed windows, under floor heating, decked floating floor complete with a shower room with WC. 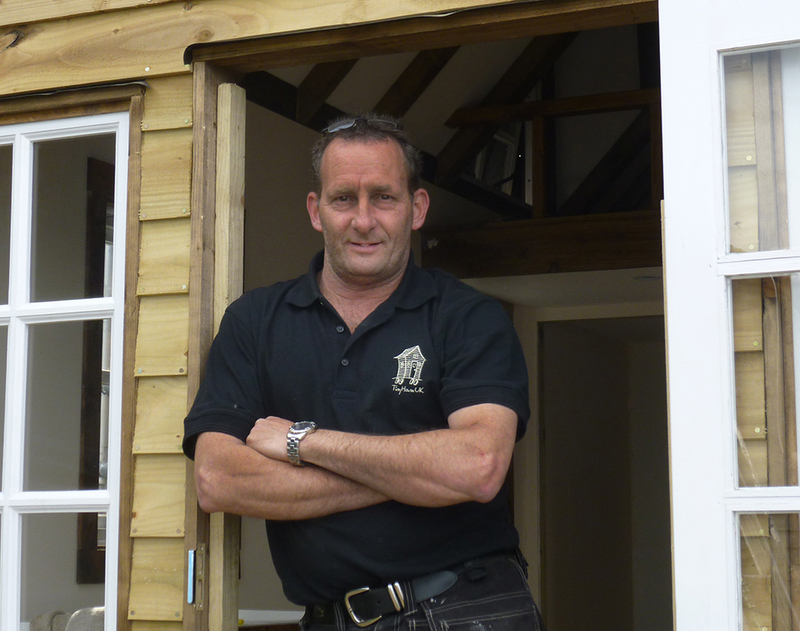 Timber built buildings can still have all the services inside too. Sauna, Hot Tub, Steam room, Sun bed room even a Gym. Television, Cool Beer Fridge... tell us what you want! 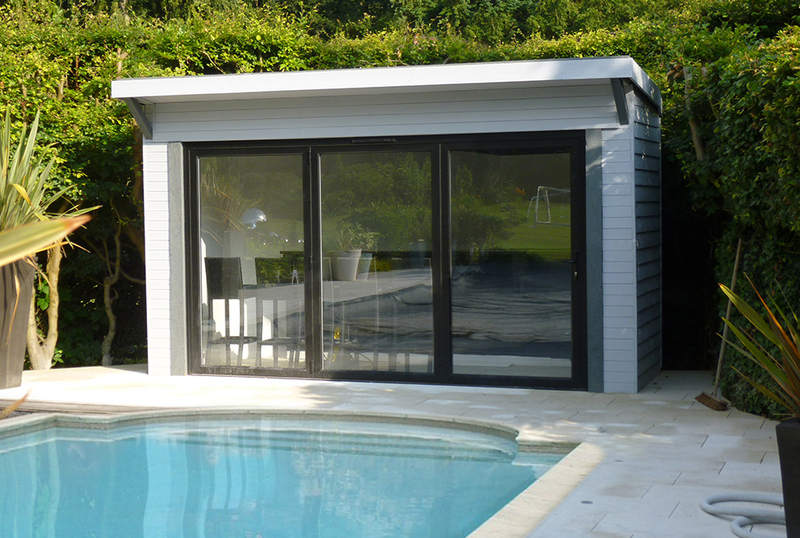 Bespoke design timber pool house, shower room, changing room with WC built in Surrey, Berkshire, North Hampshire and West London.